Our report will offer a detailed scope of work, which you can use to solicit multiple bids. With any report, we are happy to present our findings to your community's board or planning meeting. Before working on a concrete floor (i.e. warehouse floor, basement floor, etc.) it’s important to locate areas on the floor where it is clear to drill. 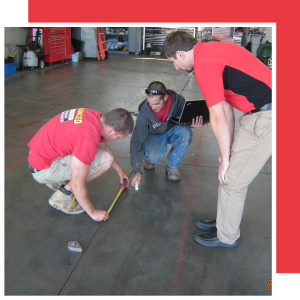 Ground penetrating radar (GPR) scanning is a simple, fast and nondestructive way to see obstacles embedded in the concrete. From renovations to additions, we provide non-destructive, onsite analysis for the element lead in residential and commercial environments. Our MN Department of Health Licensed Lead Risk Assessors complete testing using state of the art XRay Fluorescence (XRF). Need a professional opinion? 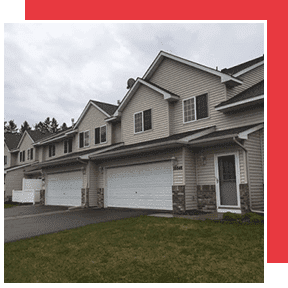 Call us to provide comprehensive evaluation and inspection for your reserve studies and budget planning. Our report will offer a detailed scope of work, which you can use to solicit multiple bids. With any report, we are happy to present our findings to your community’s board or planning meeting. 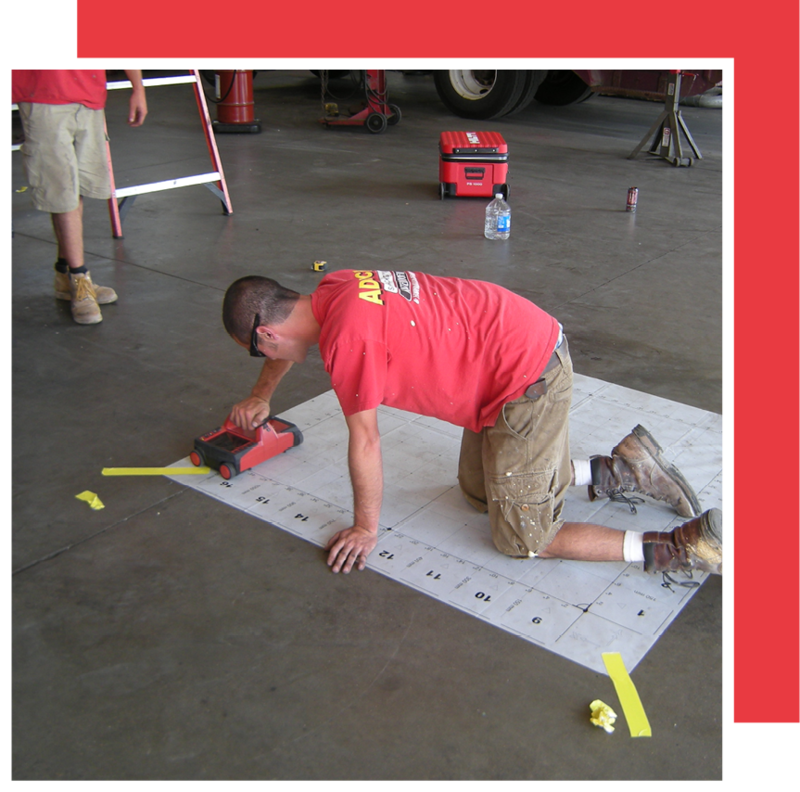 We use GPR scanning to locate in-floor heating, wiring, pipes, rebar, etc. embedded in the concrete. The floor is scanned using a 4’x4’ grid. Information is uploaded into a computer, and careful measurements are taken to mark spots where holes can be drilled. During our repairs, work continues without disruption in the areas surrounding our repair. 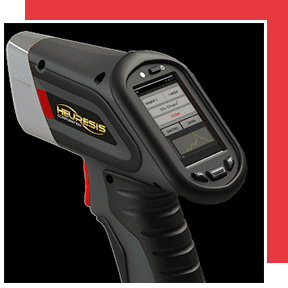 From renovations to additions, we provide non-destructive, onsite analysis for the element lead in residential and commercial environments. Our MN Department of Health Licensed Lead Risk Assessors complete testing using state of the art XRay Fluorescence (XRF). We offer pre-renovation testing of components to be disturbed as a part of a planned renovation. We send the results report within 1 business day. X-ray fluorescence (XRF) lead testing is faster, more accurate and generally less expensive than swab testing, with results emailed within one business day. Testing by a licensed 3rd party reduces liability and ensures testing follows proper EPA/HUD guidelines. XFR is more accurate than swab testing. Components containing lead concentration below the Action Level (1.0 mg/cm2) will show a Positive result with a swab test. Starting a new project or just finishing up? Either way, we’ll come to your site and perform a lead test in your construction area. Just send us your Renovation Project Plan and our lead risk assessor will contact you to schedule a testing. Don’t forget to include XRF on your client bid. See more info about lead testing for contractors. Though Minnesota law does not require lead testing for do-it-yourself projects, you should still take precautions to protect you and your family from lead. Give us a call to set up a lead testing. See more info about lead testing for homeowners.